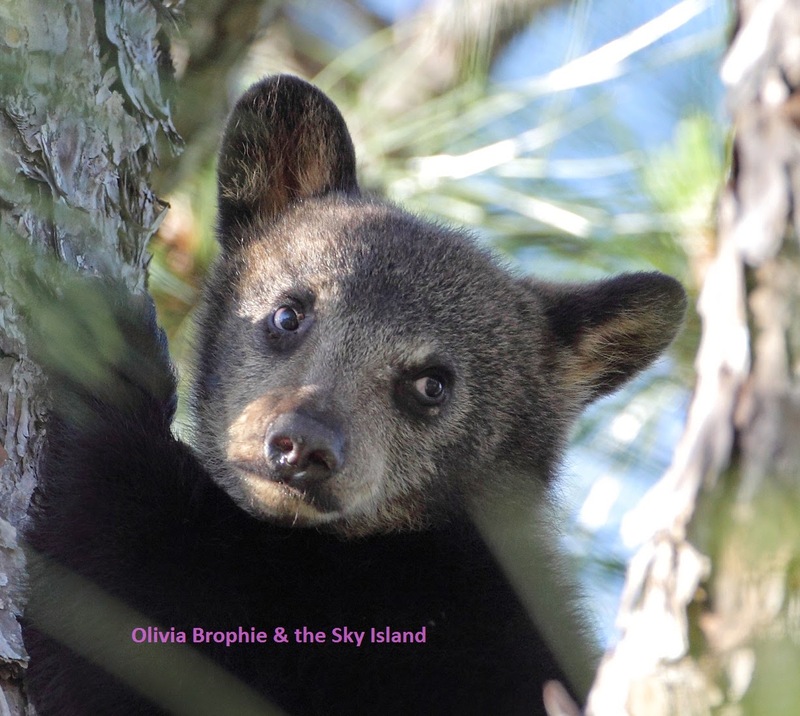 Here are some photos of a Florida black bear cub that was born this spring. 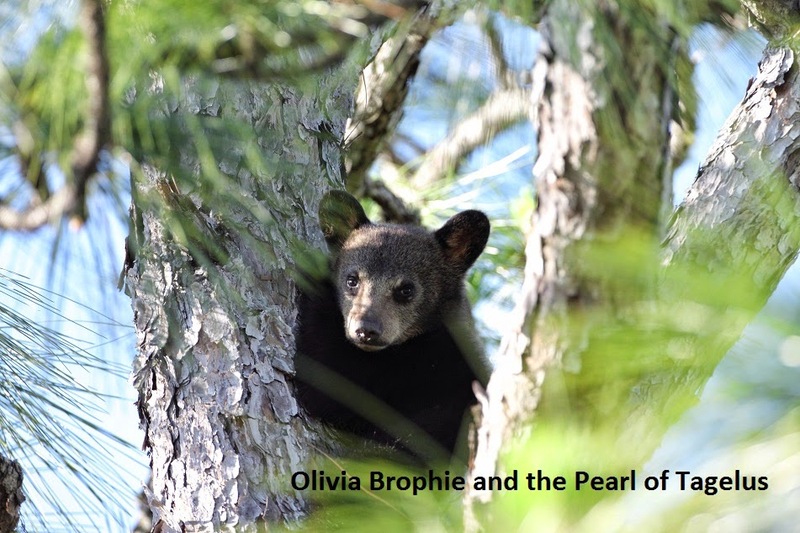 She (or he) was up in the pine tree because an unleashed dog chased her. 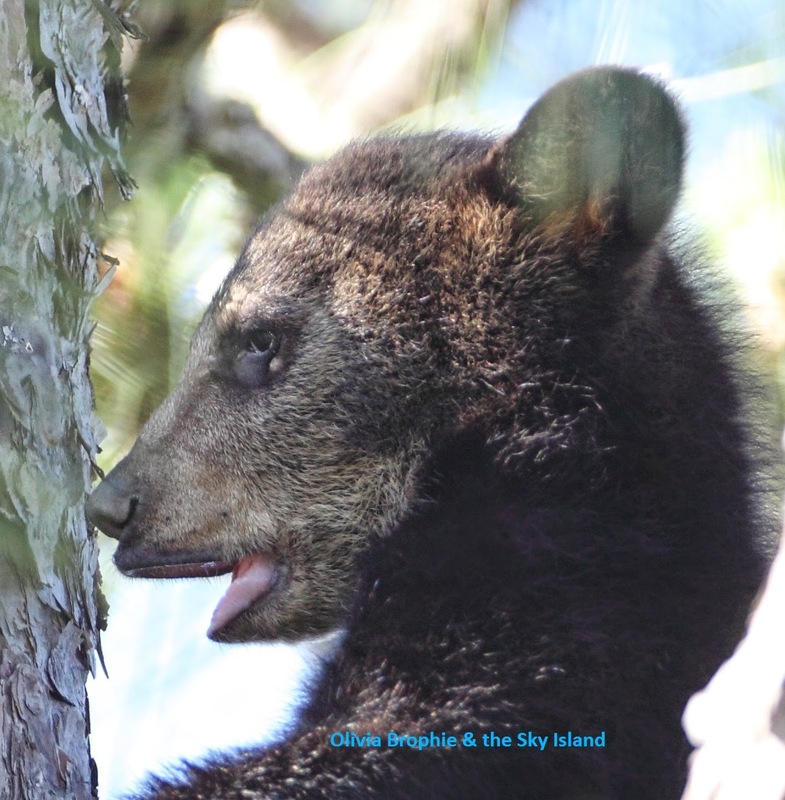 Last year's bears got in trouble because people were hand-feeding them and they became accustomed to people. 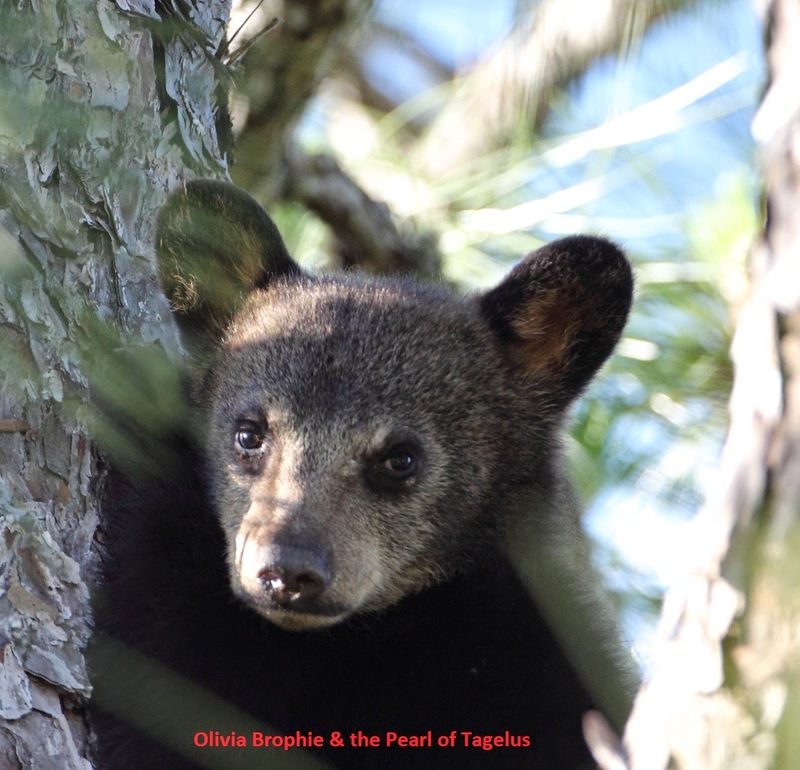 Now the mother is dead and the cubs are relocated. Please do not feed bears! 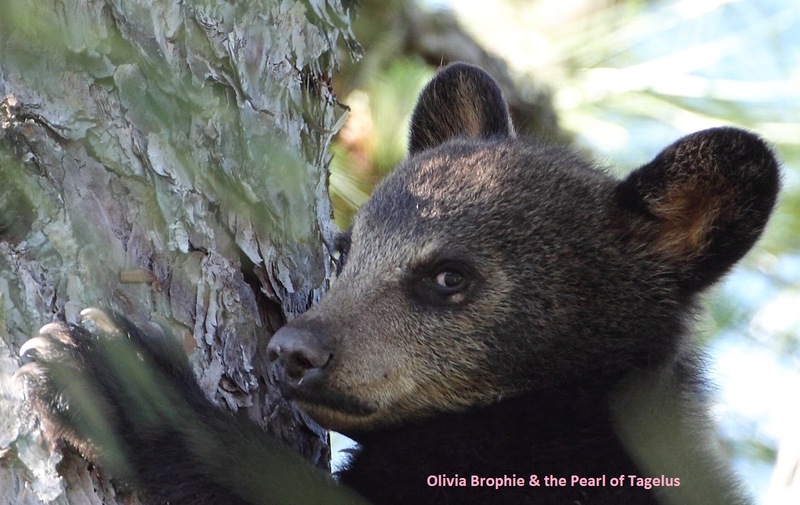 Florida Black Bear Cub - Look at that face!